Still no news on the marriage of the century, the one between the beautiful Kate Middleton and William of England. After the afternoon refreshment in the evening there was a party offered by Prince Charles dedicated especially to young people and friends of the couple. Of course Kate and William have changed his clothes: he with the smoking ordinance and she with a beautiful white dress , definitely sexier than dresses. 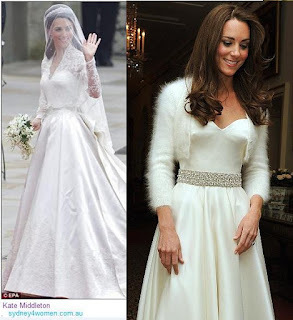 Wide skirt, bodice and a rhinestone belt made ​​her look even more beautiful and slim. The guests had a great time, so much so that the celebration continued into the night. A feast for young people so that the Queen is gone to make room for guys who had every right to dance and have fun. But he murmurs, the most admired of the party was the sister of Kate, Pippa, that many would see perfect for an engagement with Prince Harry. See Societypically for wedding earrings. 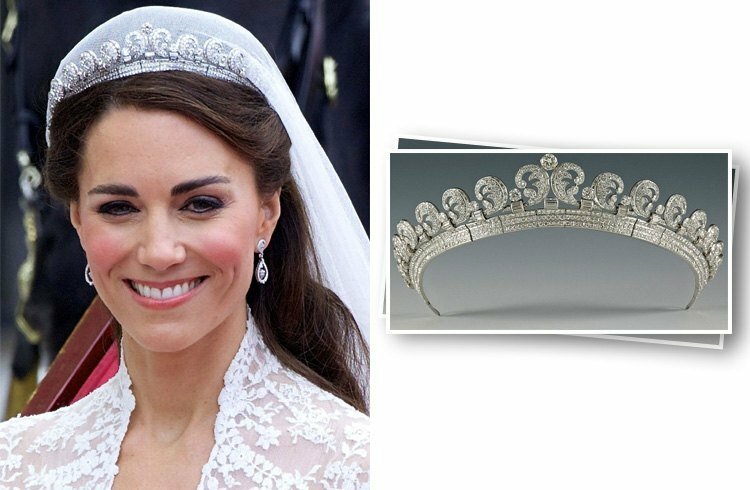 All the guests were then changed his clothes, including the bride and groom: Kate dared a very low-cut dress, bustier, as the wedding dress, the marked life, and brought to light her perfect physique. We have to say that the girl, though not noble, had impeccable taste in everything from the clothes to the organization of the wedding, so that even the Queen said she was excited about this wedding. Upon receipt at Buckingham Palace the Queen has offered 650 guests mini Yorkshire pudding stuffed with roast fillet with snitches ‘horseradish mousse’, Cornish crab salad on lemon blini, nuggets of smoked haddock with pea guacamole and quail eggs with celery with champagne Pol Roger NV Brut Reserve. ” I’m glad that time has held. We spent a beautiful day, “confessed excited bride, with her ​​husband, broke the protocol along the road from Buckingham Palace to Clarence House in a convertible, with colored balloons attached, to the delight of his subjects.